After Telegraph UK (Article has been removed! ), Photoprice and Nphoto also Le Monde de la Photo showed some bits of the Panasonic presentation. The website now has been removed and you see an error page only. A very small portion of the leak has been cached by another website Newsvortex.net. The title of the article is: “Panasonic Lumix G5: A replacement of DSLR cameras?“. It includes the Embargo date which is 18 July at 6am in the morning Paris time. I posted the full FZ60 and FZ200 pics on MirrorlessRumors.com (CLick here). These cameras actually have something the G5 has not…a dedicated M mode for video! I still haven’t found pictures of the new LX7 but Le Mounde de La Photo leaked the lens specs which (if true) is 24-110mm f/1.4-2.3. Still no info about the sensor size. Telegraph UK wrote: “The former is a top of the line compact camera with a fast f1.4 Leica lens, 10.1 megapixel Mos sensor and 3-inch screen.” But is it a real Sony RX100 competitor or not? That’s the question! P.S. : Don’t forget that there is a Canon announcement on July 23th and a Samsung announcement next week you can follow on MirrorlessRumors! 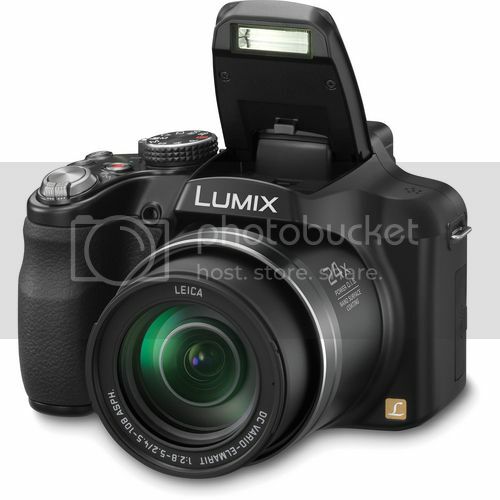 previous post: (FT5) UPDATED: Full Panasonic G5 image leaks….and Telegraph UK leaks info!